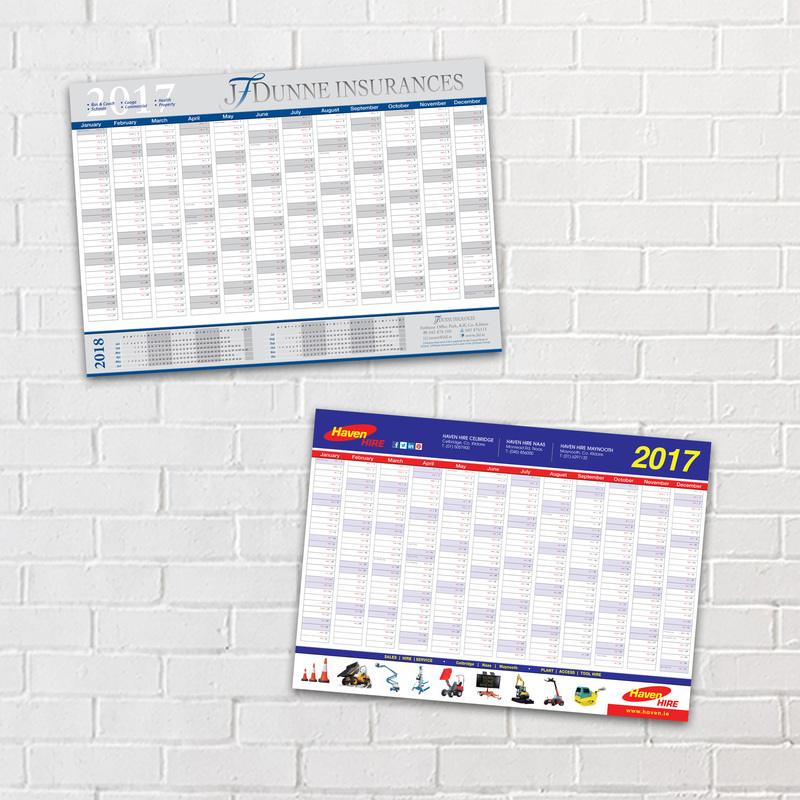 Wall Planners are an effective way to increase your brand awareness 365 days of the year without having to lift a finger! They are a perfect annual give away, ensuring your brand gets visibility in your customers workspace through-out the year. They are a great promotional and marketing tool. Chances are your customers use wall planners for staff holidays, team meetings, appointments, etc. so why not give them your branded wall planner for them to use allowing your contact details to stay in view of everyone, raising your business profile and branding. Our planners have standard Irish Bank Holidays marked (if you require other dates, sporting events, exhibitions, etc. please ask).